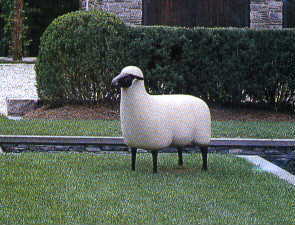 Description: Faux garden lawn sheep statue. Resin. Seen in AD and Philadelphia Magazine: Alderson. Comes as male & female.